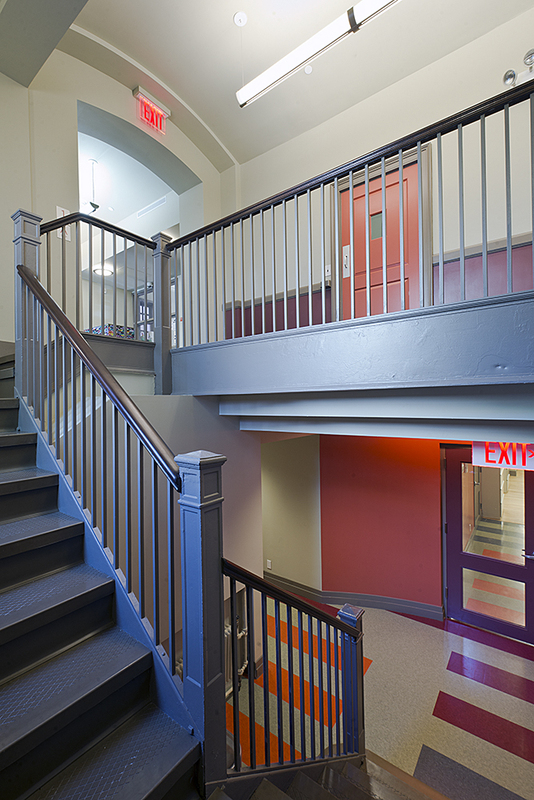 The Berkeley Carroll School acquired the First Church of Christ Scientist at 152 Sterling Place to provide them a much-needed performance and large assembly space, as well as offices and meeting rooms on the lower level. The School’s building committee enlisted Leo J. Blackman (now BLuHR) Architects to develop a Master Plan for alterations to the structure. With our consultants we evaluated its exterior soundness and interior potential, prioritized changes required by function and by Code to legally and efficiently maximize use of the property, and provide a probable cost for the work. 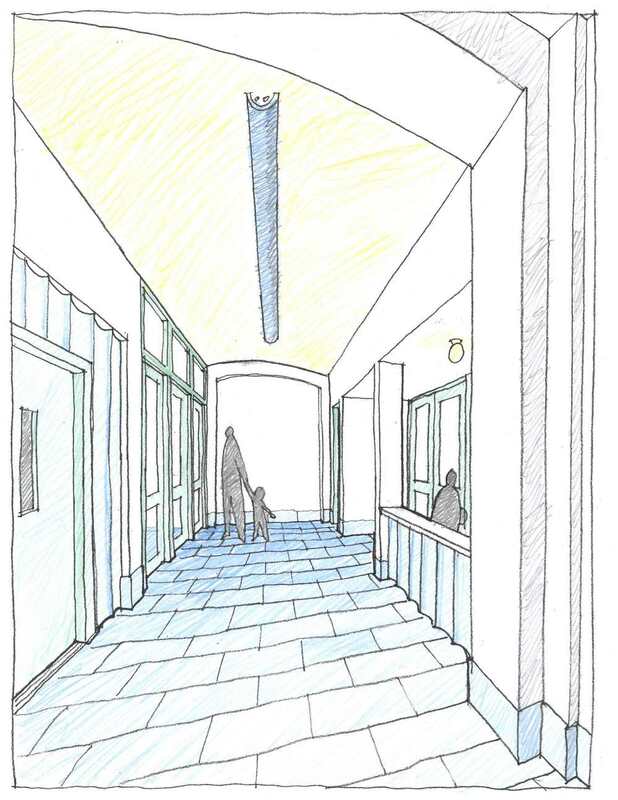 Based on our assessments, the School chose to proceed with two phases of renovations. Phase 1 construction included a full roof replacement, numerous masonry repairs and cleaning of the limestone façade. 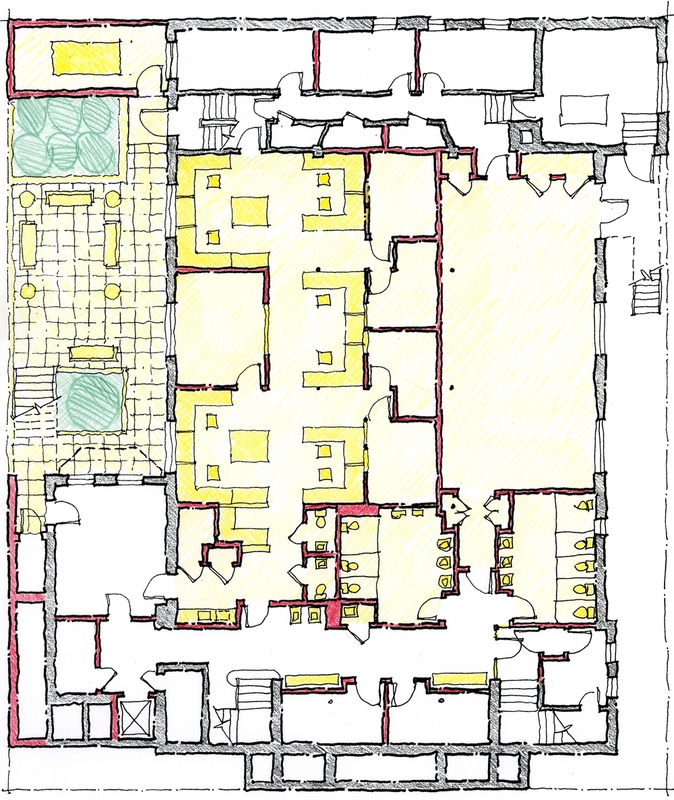 Phase 2 involved the renovation of the entire basement level for new administrative offices, as well as construction of an addition for first floor entry. This discrete limestone-clad extension fits into its Park Slope context, improves building access and security, and welcomes audiences to an enlarged, barrel-vaulted and well lit lobby. Both phases were completed in 2014.